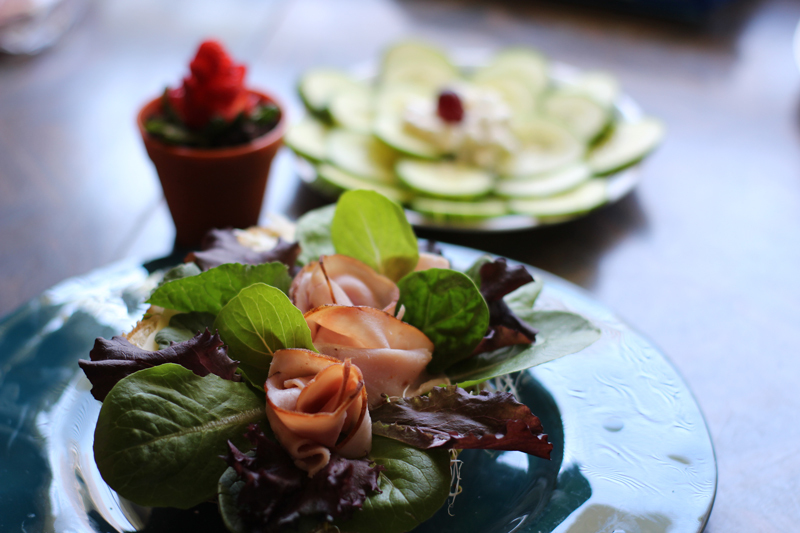 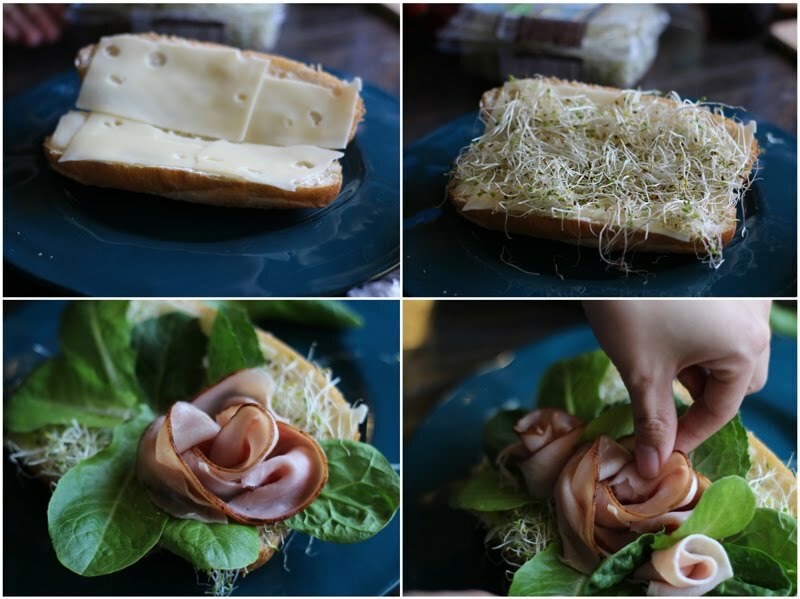 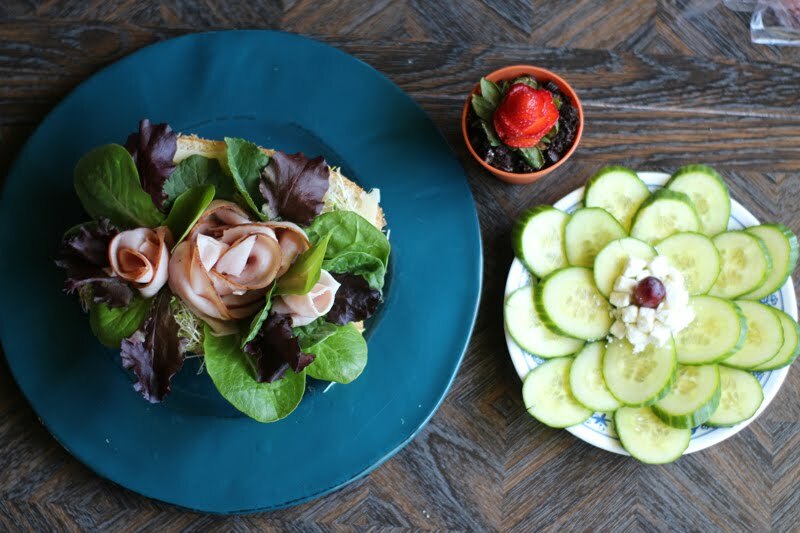 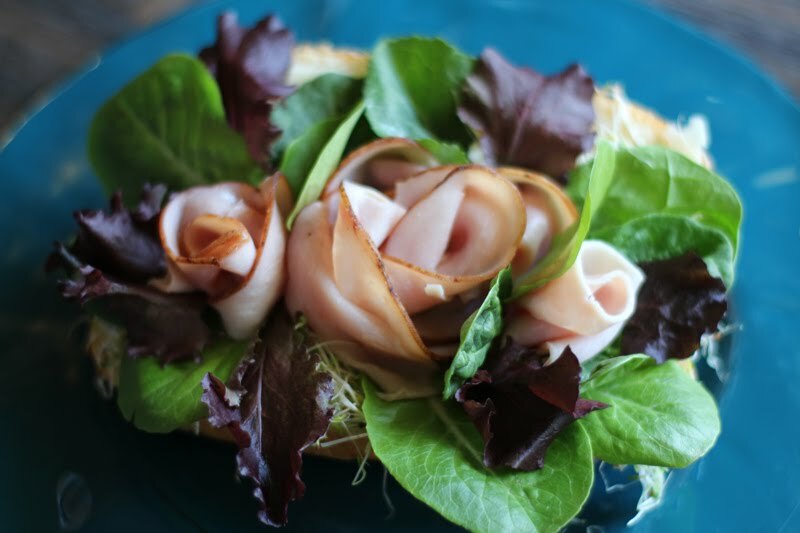 Sandwich with rosettes formed from pieces of ham, sitting on a bed of assorted lettuces and sprouts. 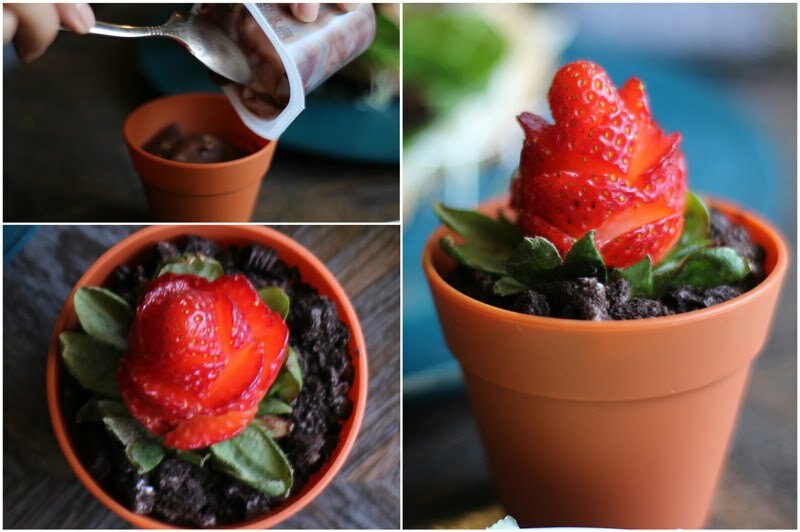 Strawberry "dirt" cup—chocolate pudding and crushed Oreos with berry topper. 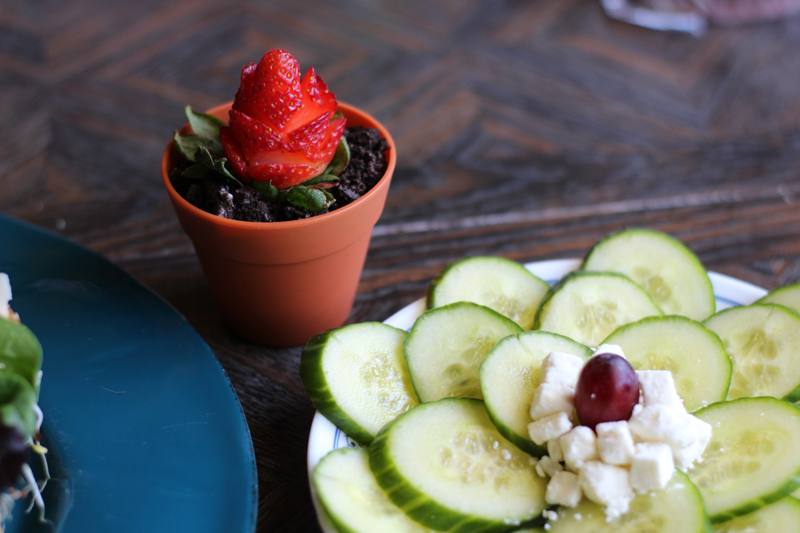 See below for links to instructions for creating the rose and the flowerpot cupcake cups. 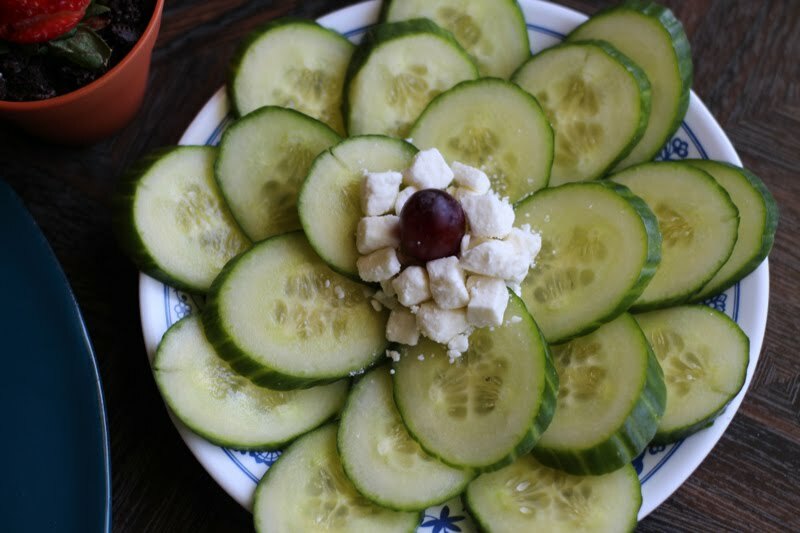 Cucumber veggie plate with feta cheese and grape center.